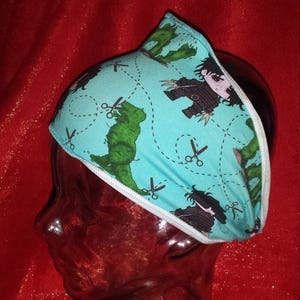 New item -Wide Headbands with pinched back! 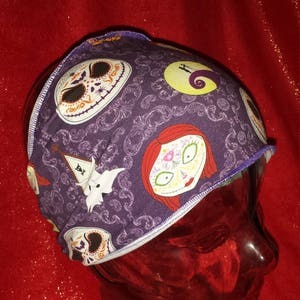 Many of my prints are a larger scale, so this is a way I can have those on a headband and be able to show the whole image. 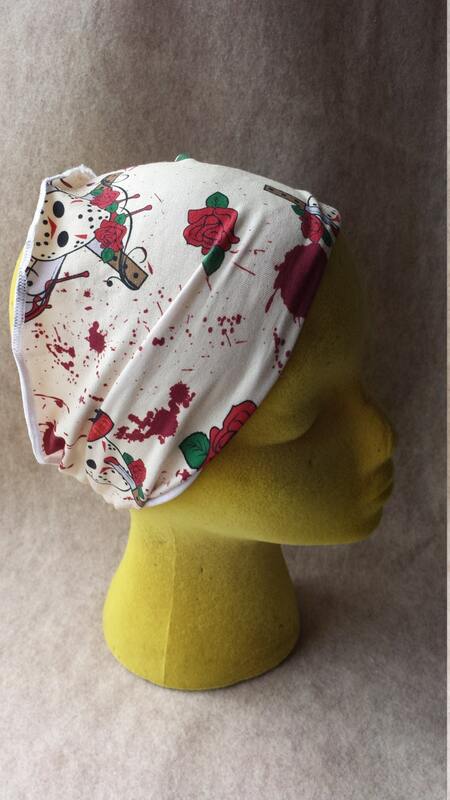 The pinched knot can be worn in the front or back, and the headband is single sided with serged edges. 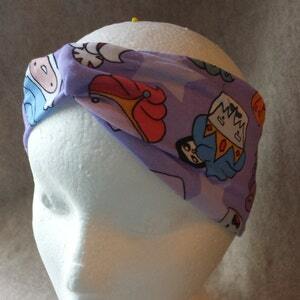 Also makes a great lightweight earwarmer. 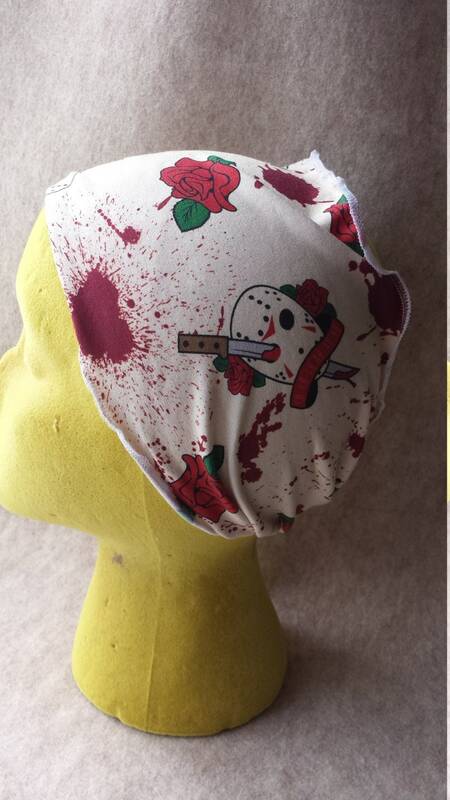 Stretch cotton/Lycra jersey knit is a custom printed fabric inspired by Friday the 13th and Jason's Hockey mask. 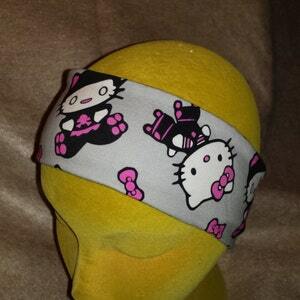 You will get the headband pictured, the picture doesn't show it but the background is more of a crème..